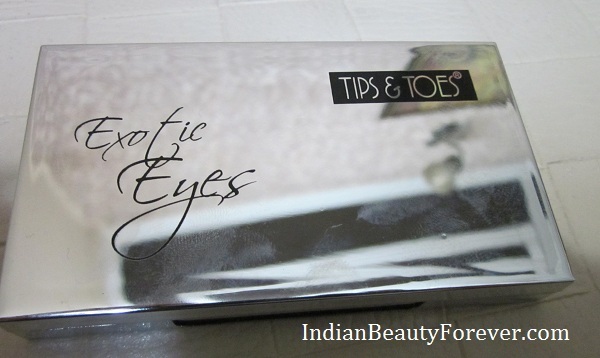 Today, I will be sharing a review on Tips and Toes eyeshadow Quad that I got from Stylecraze.com. 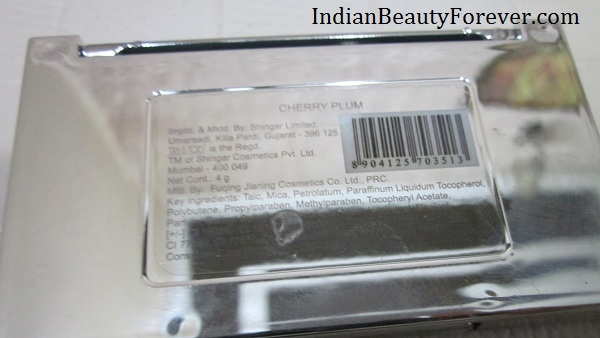 This palette is named as Cherry plum with very pretty subtle and soft colors. I would call it's packaging as a highlight of this small palette with a decently sized mirror that is good enough to do touch ups. Ingredients- Complete list of ingredients is mentioned. Exotic pearl effect blends instantly and brightens your eyes. Smooth moisturizing formula glides instantly on your eyes. 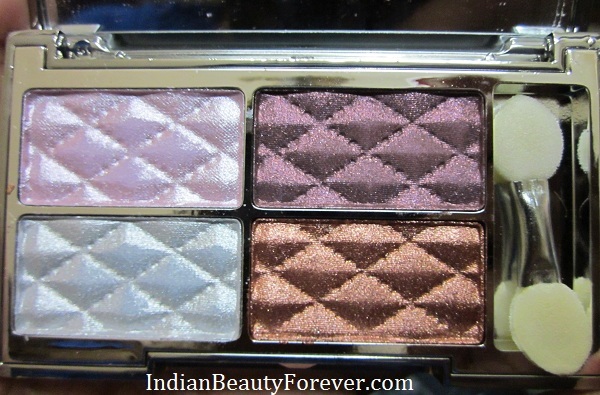 Comes in a palette of 4 shades for a perfect fashionable look that nothing can match. It has a mirror which is of decent size that you can even use for touch ups or if in case a mirror is not handy. Inside it there are four pans of eyeshadows, around an inch in width with a slot made for it's very cute looking small dual sided sponge applicator. I don't think so, that it will be any use but that's fine! Now the colors of eyeshadow that it has are: a light grey toned silver, baby pink, medium golden brown color and a pretty plummy color. All the colors are with very very finely milled shimmer that makes me feel as if they are matte untill lit hits them except for the brownish gold which is a fantastic neutral color very much to our liking. 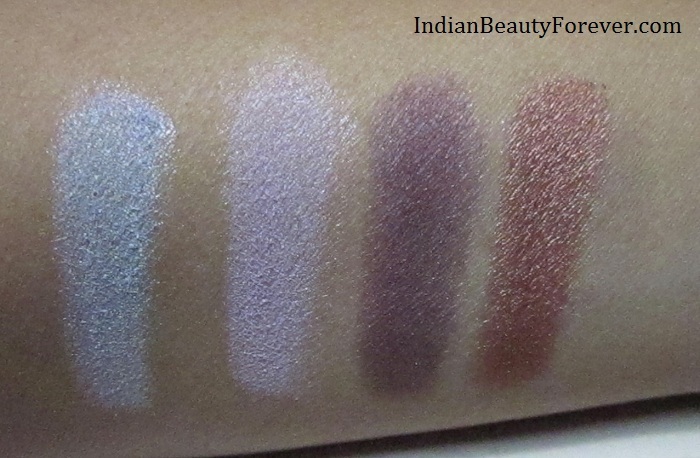 Pigmentation is decent as you can see in the swatches below. 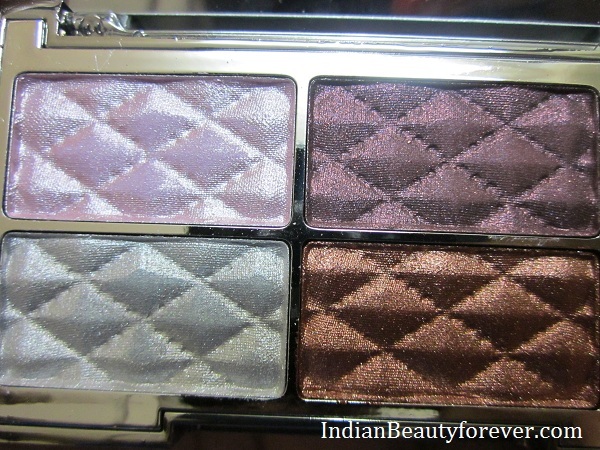 they are two swipes but they are better than the faces eye shadow Quad for sure in terms of the pigmentation. Now, they are pressed powder eye shadows but still doesn't feel much power like and Of course primers are then capable enough to change the fate of their staying power. The plum and golden brown are better in staying power than the lighter shades. I assume that most of us don't like the light colors as they may wash out our majority of Indian medium skin tones but the darker colors are neutral and will beautifully complement our skin tones. Fall outs very not much there and overall, they are great for the price. I personally liked the deep brown color, you may wear it on it's own and it will look fab!! Now, here is a quick eye makeup pic with this quad. 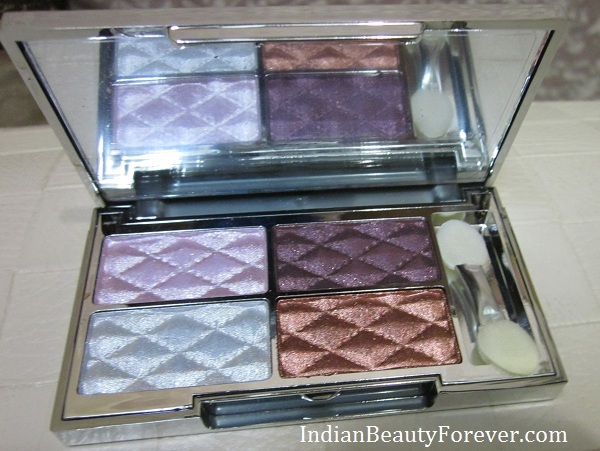 My Take: It's a good palette at that price, you may consider it for its beautiful color and lovely packaging. :D Lighter shades though may not be liked by everyone but dark shades are very good!! Sorry!! I skipped the pros and cons, this time. Me too Ray,:) Thats so pretty!! Lovely colors! And the packaging is nice! I totally loved its packaging!! Love the colors and great tips! Wow niesha..I loved it..it's so beautiful .. 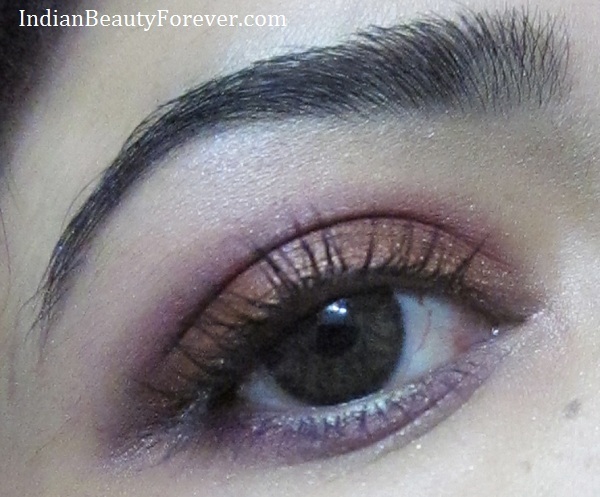 Plum and copper eyeshadows are my favourites. Very pretty look. Thanks you dear. Mine too..! Love the color duo you have used on your eyes, compliment your eye color perfectly. Evry good product in affordable price. I like these shades too. Very nice palette! very pretty shades and loved the eotd!